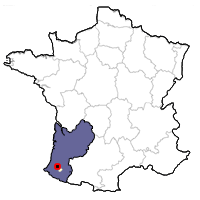 Although production within the Béarn region is dominated by the Cave Coopérative, one independent producer exists in Béarn — Pascal Lapeyre. 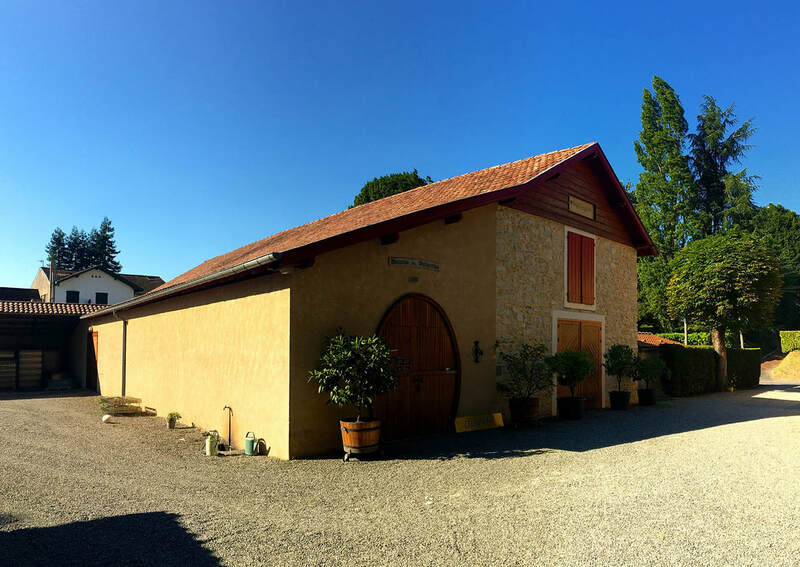 The Lapeyre family has been making wine here since 1909. Later in the century they were the first domaine to market Béarn in a fluted bottle, leading to a court case brought on by the Alsacians to protect their identity. Those from Béarn were victorious, however, which is why the traditional bottle for Béarn rosé and Jurançon sec has remained fluted. The size of the Lapeyre property was expanded in 1960 by brothers René and Jean, and a new chai was constructed to house more modern equipment. Their wine was respected in the area, but greatly overshadowed by the tremendous production of the local coopérative. Pascal Lapeyre, the fourth generation, is now in charge of winemaking for the two vineyards -- Domaine Guilhemas and Domaine Lapeyre. Like so many other young winemakers in France, Pascal is the first generation to have actually studied enology, doing an internship at Château Cheval Blanc in St. Emilion. He is also the first generation to use small oak barrels to age his wine, and the first generation to bring worldwide respect to the Béarn appellation. The vineyards are located about half a mile uphill from the chai, planted on a 20-degree slope of chalk and clay soil. The harvest is done manually, and normally takes place at the end of September. 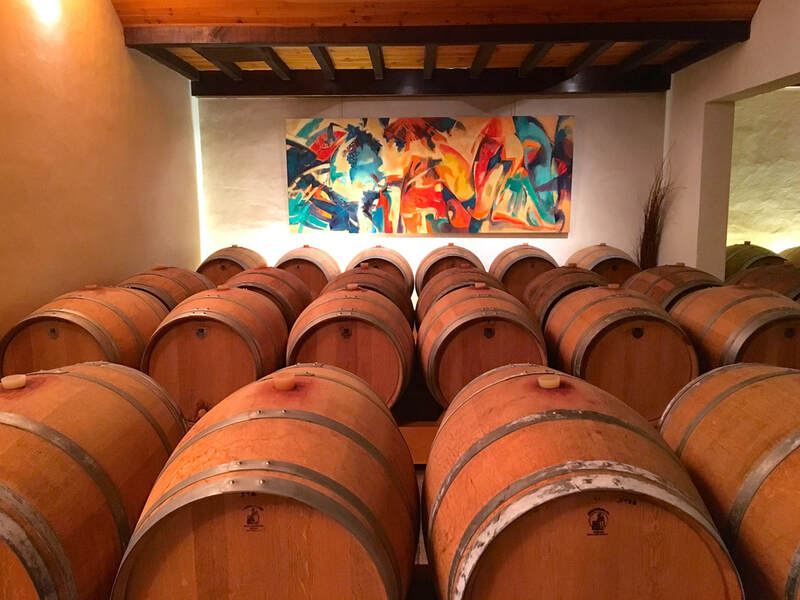 Each varietal is aged separately in oak, about 20% new each year. Like with the date of harvest, the aging period varies each vintage. Blending takes place after every racking. Fining is done with egg whites, and a very light filtration is performed before bottling. Ten months of bottle age is mandatory before the wine is put on the market. 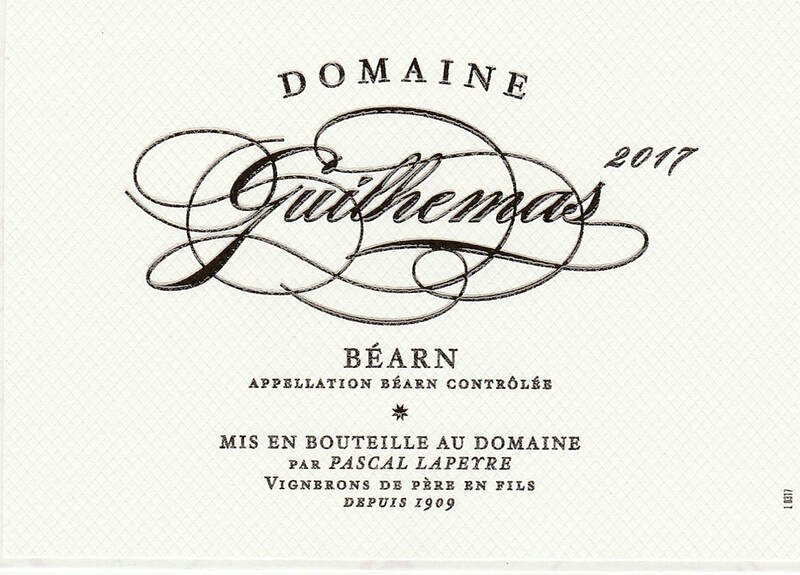 The wine is, simply put, a milestone for the Béarn appellation. The best wines from the property are released under the banner of Domaine Lapeyre. 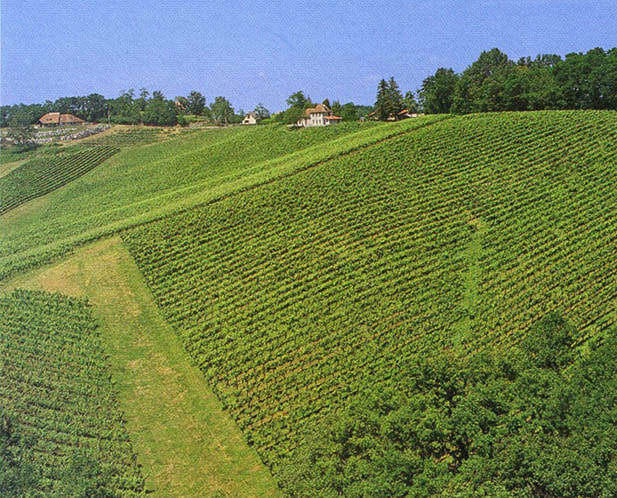 Whereas Pascal's Béarn lacks the aging capability of many Madirans, they provide much more immediate pleasure than most wines of the neighboring commune. Domain Guilhemas is named for the property upon which the chai stands. It comes in white, rosé and red versions. 60% Tannat, 30% Cabernet Sauvignon, 10% Cabernet Franc. The grapes are destemmed and fermented separately with indigenous yeasts. The macération period lasts between 15 and 21 days, during which time the cap is punched down with frequency. A small amount of press wine is added to enhance the color. Tasting Notes: Ripe, dark fruit soars from the glass, while in the mouth, supple vanilla-scented cassis, blackberry, raspberry, and almonds notes coat the palate. The tannins are round and well-integrated, giving the wine structure without being domineering, and the finish is pleasingly long. 80% Cabernet Franc, 20% Tannat. Tasting Notes: The Domaine Lapeyre rosé exhibits much more color and body than the Guilhemas rosé, and in the mouth, its intensity of flavor is reminiscent of a light red. 80% Gros Manseng, 20% Petite Manseng. Aged sur lie in new oak for six months. Tasting Notes: Exotic fruit and floral notes are well-integrated with vanilla-scented oak, with additional hints of toast and coconut. The acidity level is slightly lower than in neighboring Jurançon, but this makes for a delicious mouthful of wine now. Easily the top white wine from Béarn.